A modest property, Sealife Family Resort hotel in Antalya, Turkey is a tourist’s delight. One can get comfortable and modern amenities here including 24/7 room service. 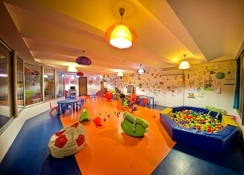 Sealife Family Resort Hotel offers easy access to the popular Antalya Museum nearby. This extensive property offers diverse entertainment activities such as snorkeling, diving, body treatments in the spa and pool with slides. Relax and enjoy the Turkish bath or chill out at any of the 3 bars here. Get grooving to some foot tapping music in the disco in Sealife Family Resort Hotel. This hotel has a host of amenities that most families look forward to a holiday. Sealife Family Resort is located just 6 km away from the Antalya Museum. While here, do visit the famous Roman-era Hadrian’s Gate, just 9 km from the hotel. The Antalya Airport is just a 30-minute drive from the property. Guests can spend the entire day shopping at the Migros Shopping Mall nearby or enjoy watching some marine life at the Aquarium 3 km from here. Guests get access to free parking here and the hotel also offers free airport shuttles. The rooms at Sealife Family Resort are airy and well-appointed. One can find Wi-Fi, flat-screen Tvs, sofabeds and balconies here. The upgraded rooms and suites have whirlpool tubs. One can find contemporary furnishings in the rooms. On the gastronomical front, guests at Sealife Family Resort can sample amazing Mexican and Italian in the buffet restaurants here. There is free breakfast available for the guests. While here, do try the fish specialties and the Ottoman dishes. The 3 swanky bars here serve the choicest alcoholic drinks. A bistro bar and an in house disco club add to the fun. The property has indoor and outdoor pools. The outdoor ones have waterslides to keep your kids entertained. A private beach area and a kid’s club here add to its wonderful amenities. The hotel arranges for live entertainment in the evenings. 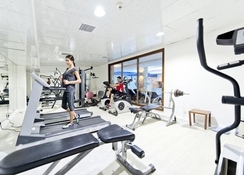 The resort also has a spa offering sauna, Turkish bath and a fitness centre.